The national clean car standards, which limit tailpipe emissions from cars, represent one of the biggest steps the federal government ever has taken to reduce energy use and greenhouse gas emissions. 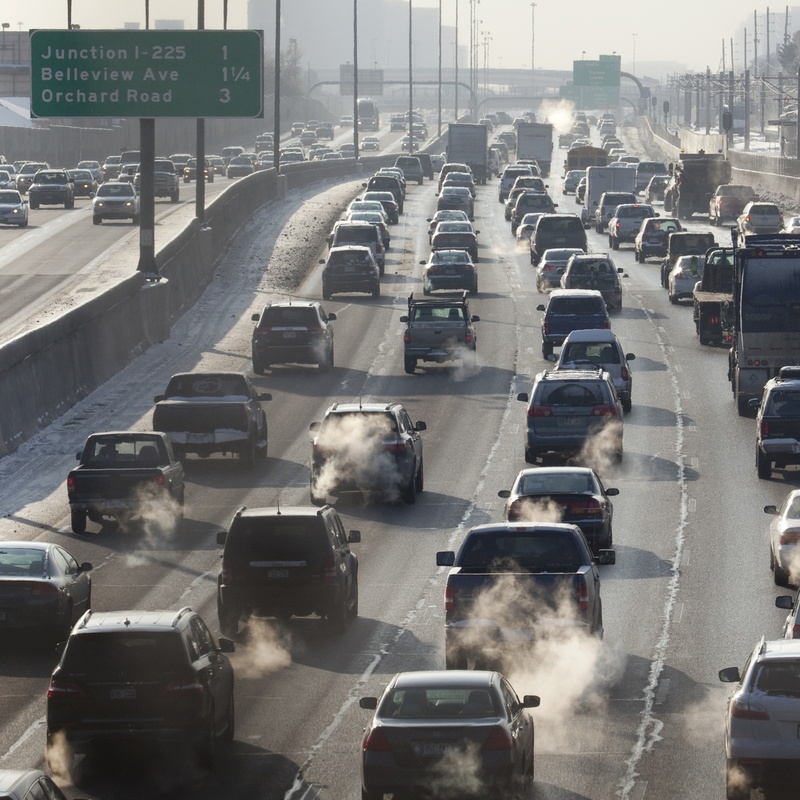 The Obama administration adopted the clean air rules in 2012, when automakers agreed to a set of standards requiring them to gradually reduce pollution and improve fuel economy. Under this plan, by 2025 the average car would have about double the fuel economy and emit only about half the carbon pollution of cars on the road today. But now, the Trump administration proposes to undo these clean car standards and, in doing so, would jeopardize public health, the U.S. economy, and the environment. The Obama-era rules offered enormous benefits for the climate, consumers’ wallets, and air quality. Already, these standards have saved consumers nationwide more than $55 billion on fuel costs – and when the rules are fully phased in, consumers will save over $50 billion a year. As a nation, we will save 23 billion gallons of gasoline every year, and reduce carbon pollution by 280 million tons a year, which is the equivalent of taking 59 million cars off the road. It is hard to find a more successful environmental and consumer policy that has ever been adopted. We get cleaner air, less impact on our climate, and better public health- all while saving money! And, the standards are good for jobs in America. They spur innovation that keeps our auto industry competitive, and have created tens of thousands of jobs across the country – which is why auto parts manufacturers support clean car standards. Unfortunately, a potential rollback threatens all these benefits. The Trump administration is revoking a determination that the rules are appropriate, and plans to weaken the fuel economy and tailpipe emissions standards. While no one knows exactly how far the administration will go, aggressive rhetoric from Scott Pruitt, Trump’s EPA administrator, suggests that they may go very far. For states across the Southwest, the stakes are very high. In Colorado, an analysis conducted by the Environmental Defense Fund found that if the administration stops further increases in fuel economy, Colorado consumers will pay about $600 less to buy a new vehicles – but will have to spend nearly $4,600 more on gasoline, for a net loss of $4,000 per vehicle by 2025. To date, the clean car standards have saved the Colorado economy $550 million in avoided gas spending. These savings have been reinvested in the local economy, promoting growth and stimulating job creation. With the policy left intact, the average Colorado household will save $2,700 in gas spending and the state economy will create 7,300 new jobs by 2030. The chart below details the carbon emissions reductions and economic benefits for each state in our region. And there will be big negative impacts on greenhouse gas emissions under the Trump administration’s rollbacks. The EDF analysis found that carbon pollution in Colorado would increase by 3.8 million tons per year. To give this some context, the biggest thing happening to reduce emissions in Colorado is Xcel Energy’s plan to shut down more coal-fired power plants and replace them with wind and solar. The plan will increase Xcel’s share of renewable generation from 29 percent to 55 percent of its total energy mix by 2026, a shift that would reduce emissions by 4.1 million tons per year. So, rolling back the clean car standards would essentially wipe out all of these gains. Then there are the public health impacts. Denver, Phoenix, and Salt Lake City violate federal health-based air pollution standards, and pollution from motor vehicles and gasoline refineries is a significant part of the problem. The EDF analysis found that, under the Trump rollbacks, urban air pollution associated with cars would increase by up to 15 percent. How does the Trump administration justify the proposed rollback? The administration offers two main arguments to justify the retreat on air pollution, but neither one makes much sense. The first claim is that since people are buying more trucks and SUVs and fewer sedans, auto manufacturers have difficulty meeting the standards. However, even Ford (the builder of the top-selling F-Series trucks) opposes a drastic rollback of the existing clean car standards. Here’s why. Existing federal rules for SUVs and pick-up trucks already are looser than they are for sedans – and while the Obama-era standards require both SUVs and pickups to become cleaner and more efficient over time, a different standard will still apply to each category. The current clean car standards are calculated by vehicle model as a function of vehicle footprint, resulting in less aggressive efficiency targets for larger vehicles like trucks and SUVs. Since the standards were revamped in 2012, U.S. light truck sales have increased from 8 million to 12 million, representing 67 percent of all light vehicle sales at the end of 2017. So Ford, and other SUV and pickup manufacturers have seen sales rise even as the vehicles have become less polluting. The small truck makers already have been switching out their factory equipment and making money. The administration’s other argument, that increasing fuel economy makes cars less safe, is just wrong. Back in the 1980's, opponents of fuel economy standards made this argument, asserting (without much evidence) that fuel economy requirements would force people into smaller cars that would be less safe. But this unsupported claim especially makes no sense 40 years later, and absolutely ignores what the 2012 rules really do. The current rules treat each size of car separately, so do not force the market towards smaller vehicles. In the 21st Century, auto companies use technology to solve their problems. So, automakers don’t meet the fuel and clean air standards by building smaller cars. Instead, they use innovation in lighter weight materials, higher aerodynamic efficiency, more efficient engines, and vehicle electrification. Just like today’s consumers don’t use the clunky, slow mainframe computers popular in the 1980s, modern car companies haven’t stuck with antiquated manufacturing methods from 40 years ago. The rollback of federal standards is not a done deal. You -- as a consumer, a business executive, or a local or state leader -- can help put the brakes on the destructive, costly rollback. Under federal law, the EPA cannot simply eliminate these standards by fiat, but must conduct an extensive public comment process and must justify the changes it proposes. SWEEP encourages residents, businesses, and state and local governments across the region to speak up loudly in this process, telling the federal government that we will not go backwards. New poll results released by the American Lung Association this week show that nearly 7 in 10 voters want the EPA to leave the existing clean car standards in place. The regulations are popular across party lines, with a majority of Democrats and Independents and a plurality of Republicans voting in support of the standards. In addition, state governments have another powerful way they can act. Section 177 of the United States Clean Air Act gives states the right to opt into a set of Advanced Clean Car Standards, and 13 states (representing nearly 40 percent of the U.S. population) have taken this step. States that opt in will get to keep the existing standards in place, and will be at least partially protected from the negative impacts of a federal rollback. Let’s all ask President Trump and EPA Administrator Pruitt just what part of the clean car standards they oppose? Is it saving money – or breathing cleaner air?